Tappé is a collaborative studio of architecture professionals. We are enthusiastic, energetic and focused on the success of each of our projects. The Tappé team combines passion, longevity, expertise and collaborative energy to consistently achieve excellent outcomes for our clients. 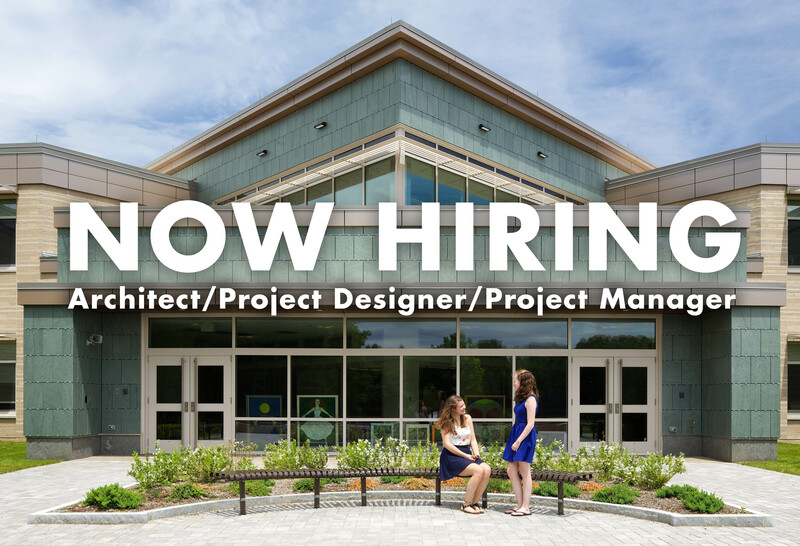 Tappé Architects is looking for a creative designer and experienced project manager to join our team in crafting spaces that are on the cutting edge of modern learning environments. The ideal candidate will be a licensed Architect in MA, have a successful track record in managing projects, coordinating with consultants and supporting the entire project team and has a passion for innovating educational spaces. We envision room for growth in this position and see potential for further experience in all areas of the field. Proficiency in Revit is a must as are good organizational and communication skills. Tappé is a collaborative studio and the ability to work in a team environment is essential.